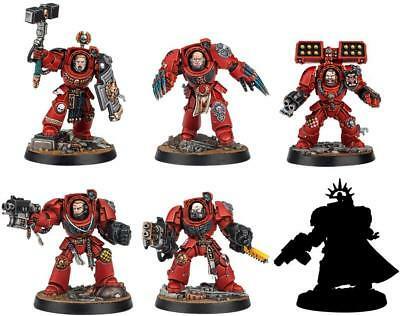 Spotted on the wild frontiers of the Internet, an image that showcases the second wave of Space Marine heroes…this time in the blood red terminator armor of the Blood Angels. These amazing minis might be headed for the good old US of A. Space Marine Heroes was a wildly popular collectible miniatures line in Japan that introduced a number of Space Marine heroes, as you might have inferred from the name. These single model kits are sold in blind boxes, Gachapon style, or you can by a collector’s set of twelve, which gets you the entire set including the two as-yet-unidentified rare collector’s models. 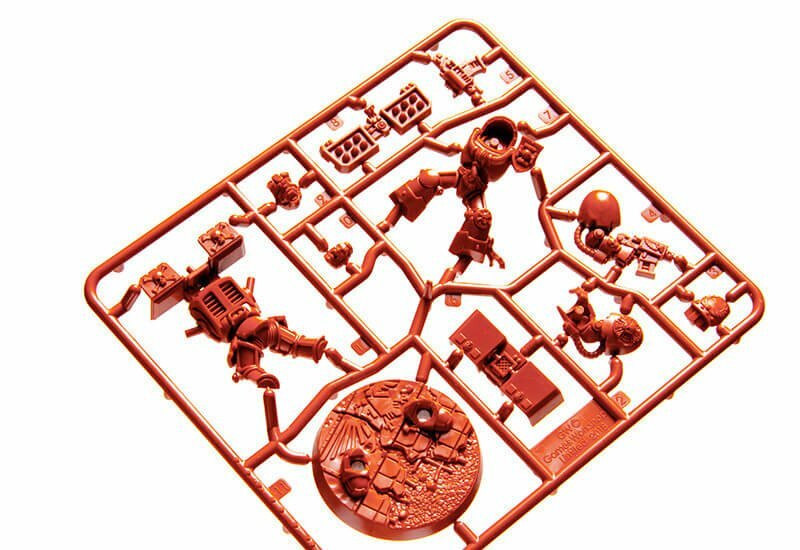 These are due to be released stateside at the beginning of November, and according to photos from Twitter user @ministomp seem to indicate that there’s a second, as well as showing off the second wace of Space Marine Heroes, a band of Blood Angels terminators. I'm being told that these items should be around for christmas. You get a random model in a box. I guess they were a big deal in Japan or something. 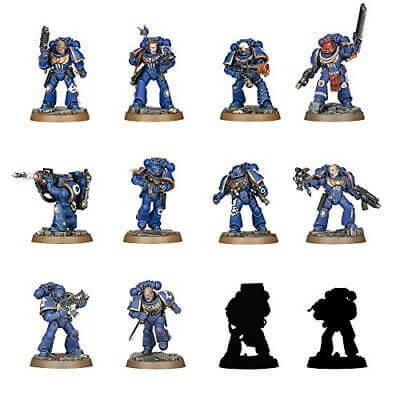 We’ve talked about Space Marine Heroes before, and this second picture shows off everyone in the main tactical squad, as well as two more, including Heavy Weapon specialist brother Toriad. But what about the last one? Could they be a special character? My money is on one of the HQ choices–but let’s take a look and see what you think. 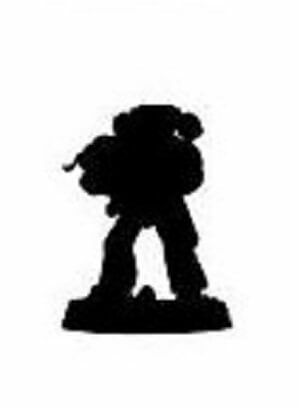 More importantly though, it looks like we’re getting a full look at the second wave of Space Marine Heroes. As of now, this is a Japan-Only exclusive, but I imagine that it won’t be long before the United States and Canada see a wider release, following in the footsteps of Series 1. And having looked at these Terminators, they’ve really stepped up their game. Take a look. There are six terminators’ worth, which is more than enough to put the hurt on a Space Hulk full of genestealers. They, like their brethren before them, represent a squad of Terminators, each with their own individual specialization and kit. And they’re all push fit models with incredible detail to them, so you can build them easily enough, or if you’re feeling really creative bust out the saw and green stuff and start posing them. Either way, we’ll have more news on this as it arrive. What do you think of the full Terminator squad? I’d probably never take one like that in a 40K game…but it’s kinda tempting seeing them all together like that. Let us know in the comments!